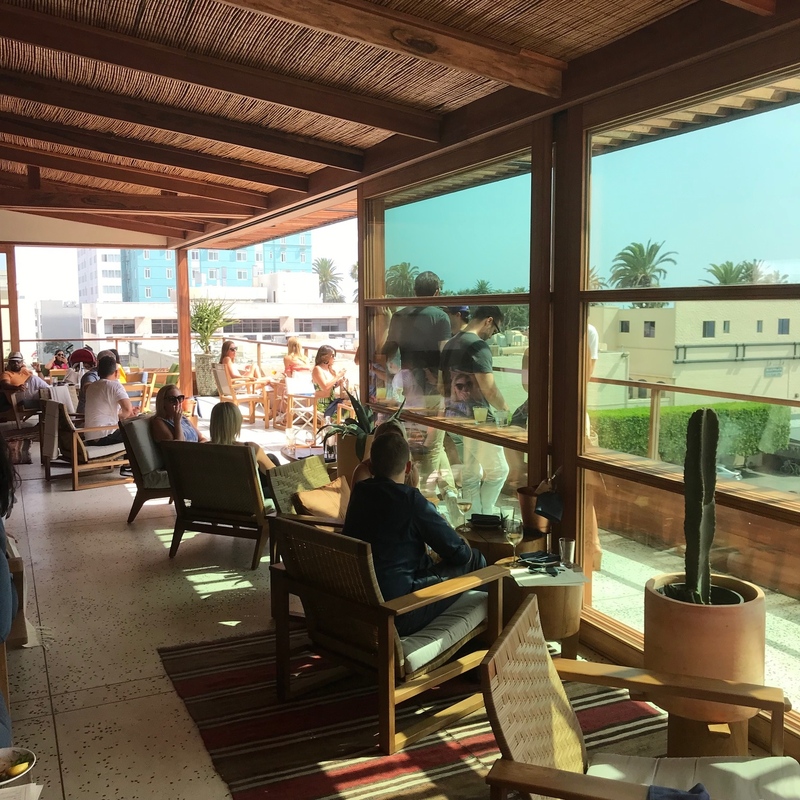 When I discovered the location I figured it was a great Instagram destination with expensive drinks and tons of posers in skimpy clothing. 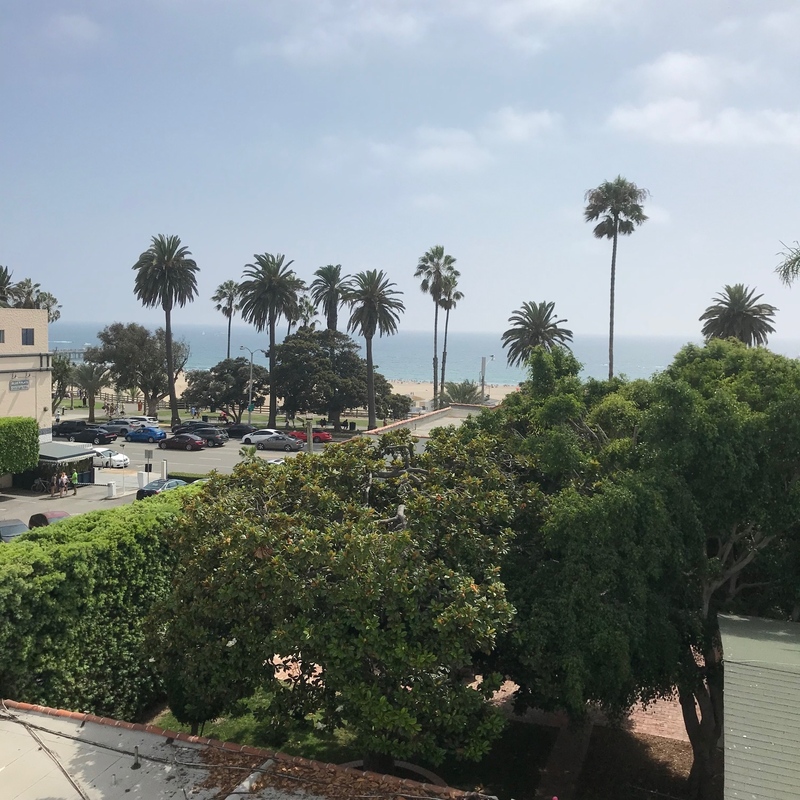 After all, with a very few exceptions, you do not head to Santa Monica for delicious dining. Curiosity got the better of me and I reluctantly booked a table at Elephante for 3pm last Sunday. It is a challenging place to get into and you cannot just wander in. There is a podium outside the entrance on 2nd Street and it’s a no go without your name on the list. I strolled up with a bit of undetected attitude. Hang on, the greeting was surprisingly friendly and down to earth. After being granted passage, you step into a dimly lit air conditioned hallway which leads to an elevator to the rooftop restaurant on the 3rd floor. The door opens onto a bright, well appointed space. 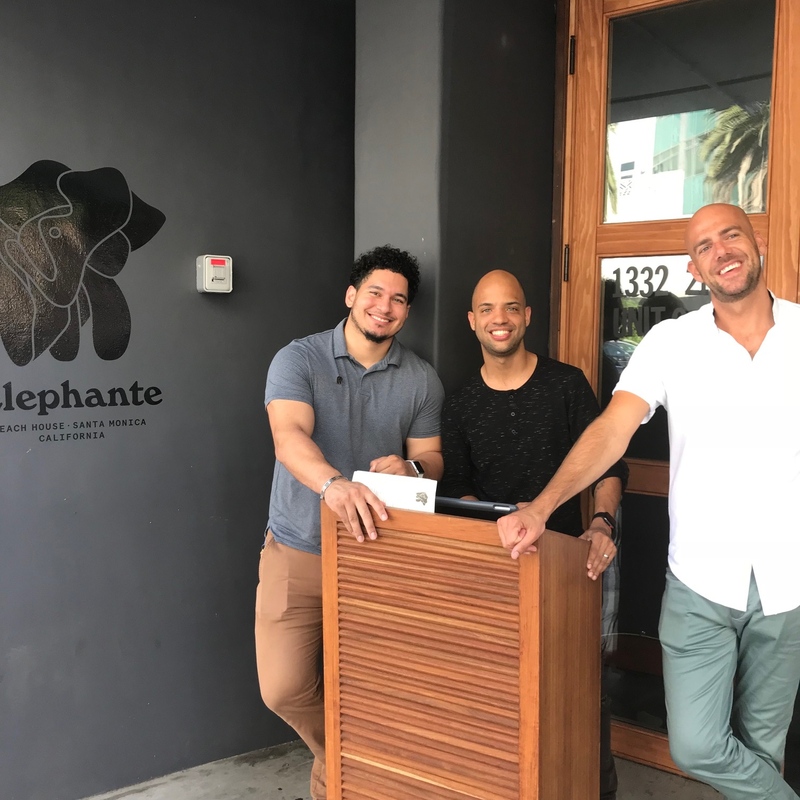 At first glance, I was pleasantly surprised how lovely and inviting Elephante appeared to be. We were seated on the edge of the terrace. It was a warm day so we had the benefit of being covered as well as providing a grand view of the Pacific Ocean. The place was buzzing, the noise level at fever pitch, but there was a nice vibe. 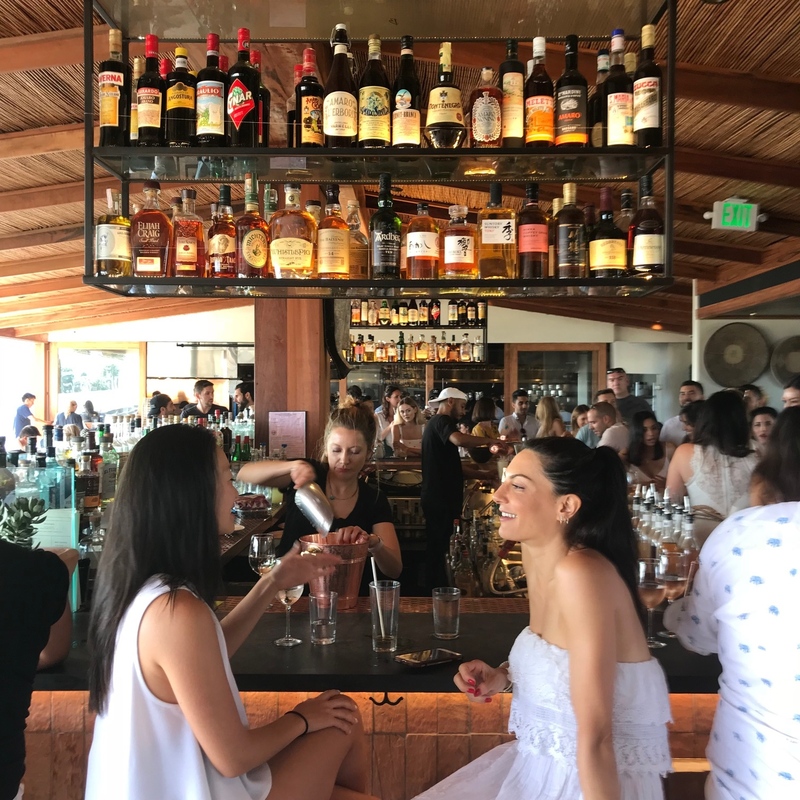 Everyone was drinking fancy cocktails, champagne or rose…the bar was humming with millennials on the hunt. We started out with Cremant de Bourgogne Rose…it was dry and satisfying ($16). Aaron, our very personable and well informed server, adeptly guided us through the menu. 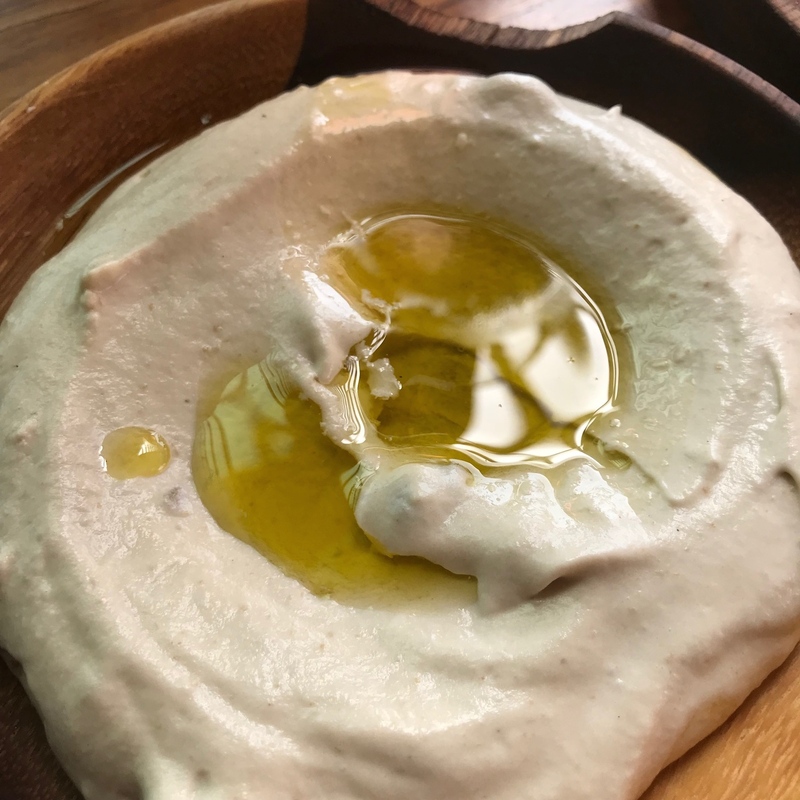 We ordered the highly touted Whipped Eggplant presented with a perfect pool of EVOO…it was divine. 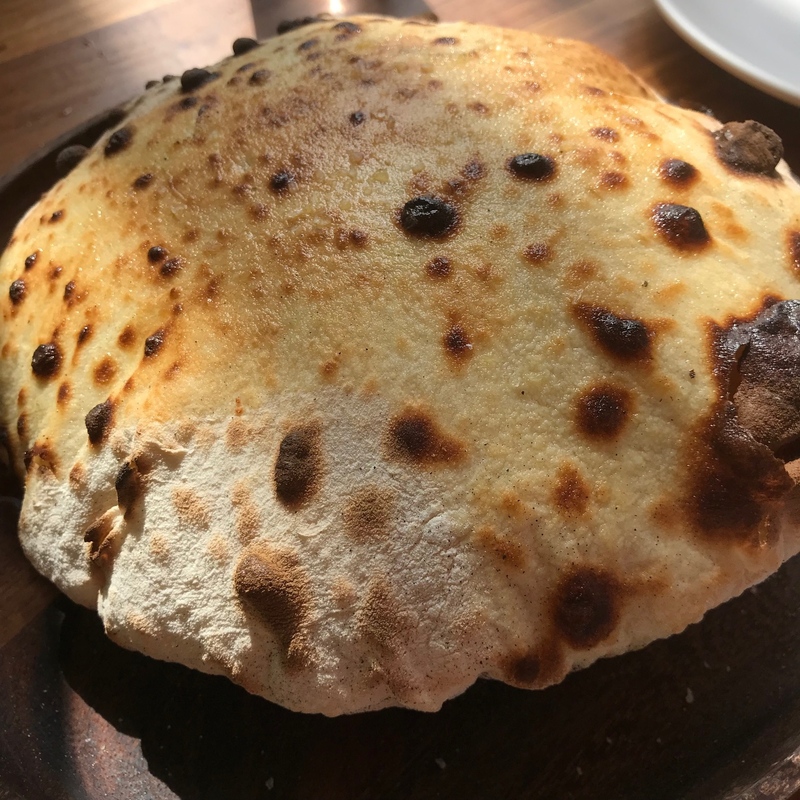 The eggplant was served with a gorgeous round bread called Puccia, a savory flatbread indigenous to Puglia. It is griddle-fired and arrived pillowy and hot ( $10). 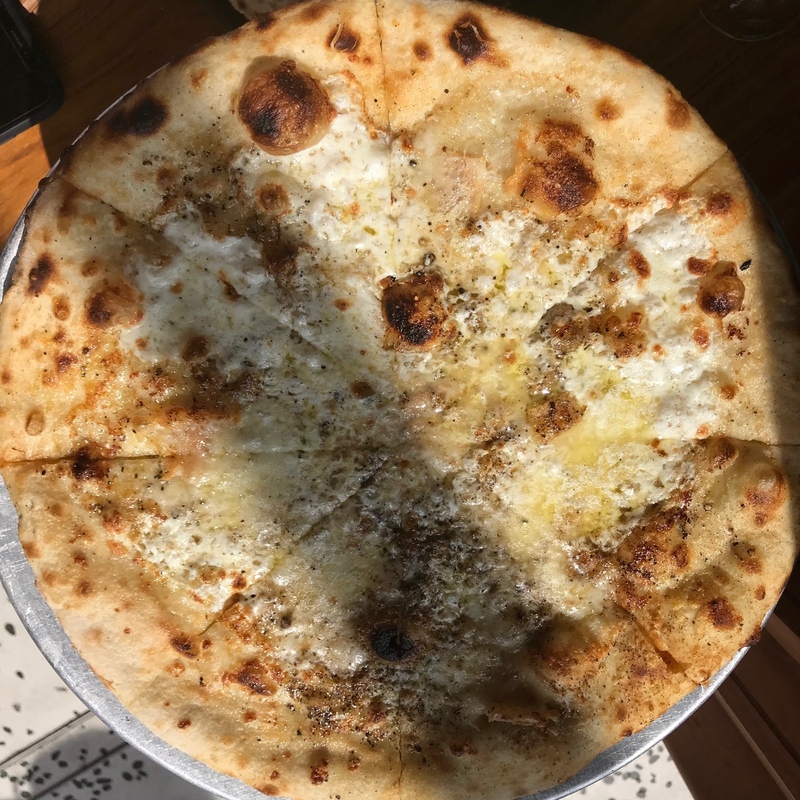 Next was a savory Cacio e Pepe pizza, crispy, piping hot out of the wood burning oven ($22). 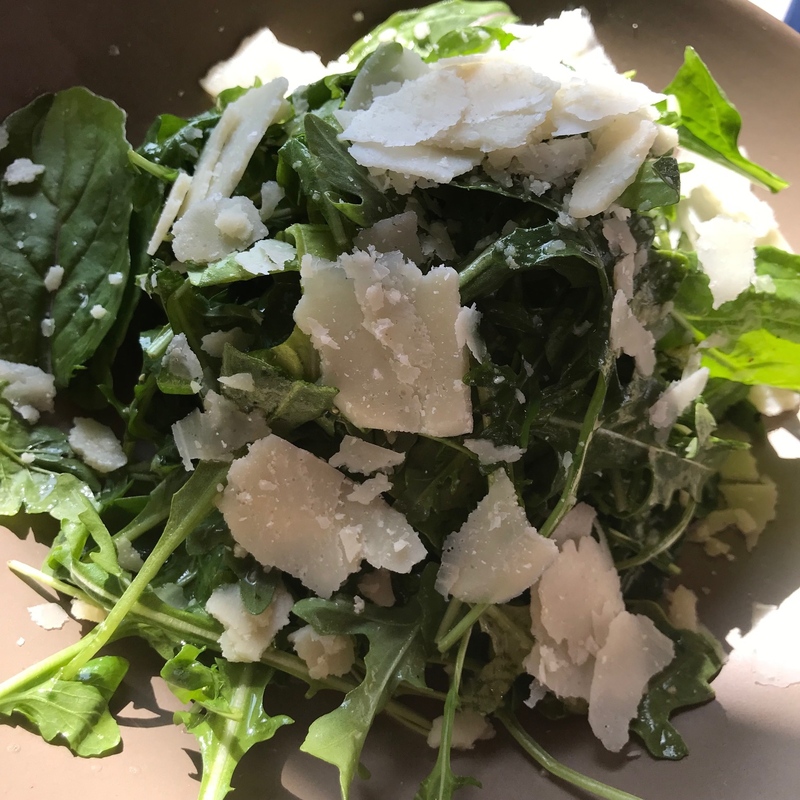 The chilled, fresh Arugula Salad with Parmigiano Reggiano had a delectable hint of citrus ($14). 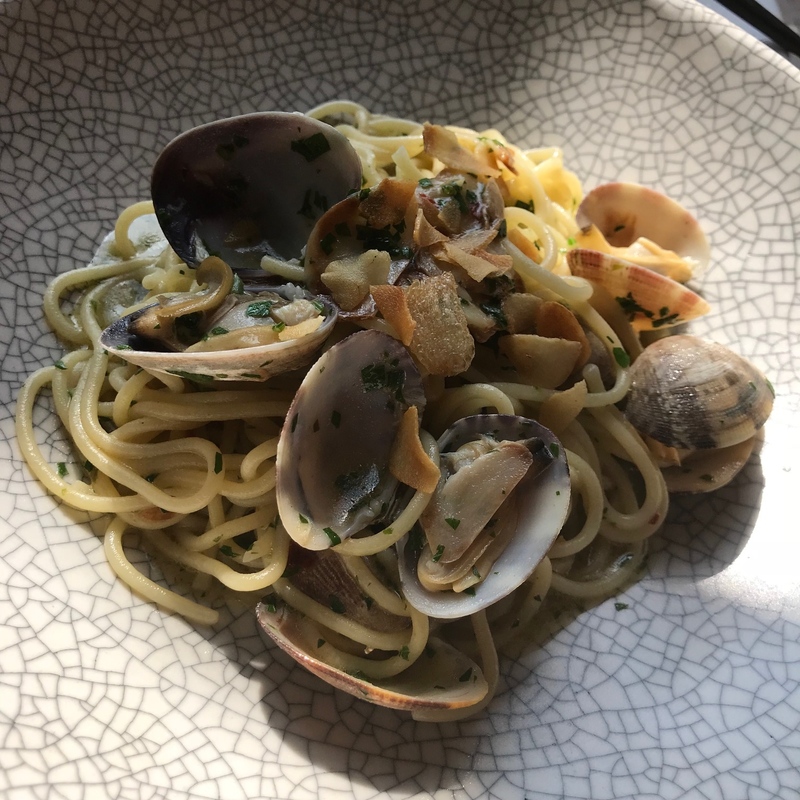 We opted for the perfectly prepared al dente Spaghetti Aglio e Olio ($16) with clams ($6). The pasta was lovely with a kick…the clams sweet just wish there were more. We met a charming young couple who insisted on buying us a round. It was an LA moment…he in finance at CBS Films and she, adorned with Hermes bracelets and dramatic rings, is a jewelry designer. 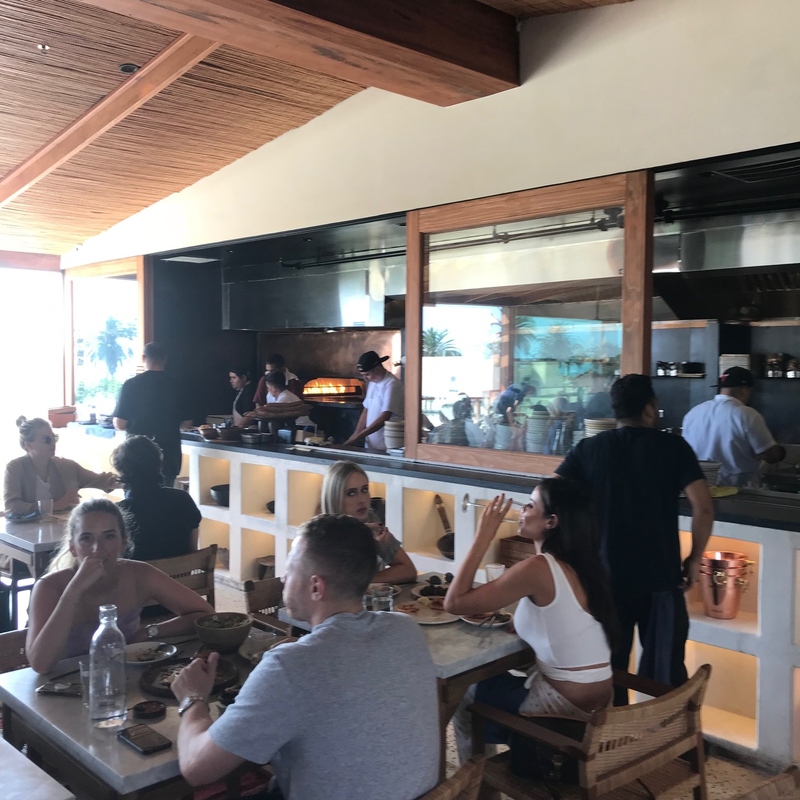 Restaurateur Nick Mathers (Eveleigh, Goldie’s, Tesse and Little Ruby fame) has taken 4 years to create Elephante which features worldly touches such as custom teak cabinets, wicker furnishings by African and Balinese artisans, limestone walls, tigerwood and terrazzo stone flooring along with Brazilian teak decking. Unfortunately, reality reared its’ ugly head and intruded on our delightful afternoon…the 2 hour street parking space was calling to us. Interesting, at no point did Aaron ever pressure us to move on as they often do in hot spots. 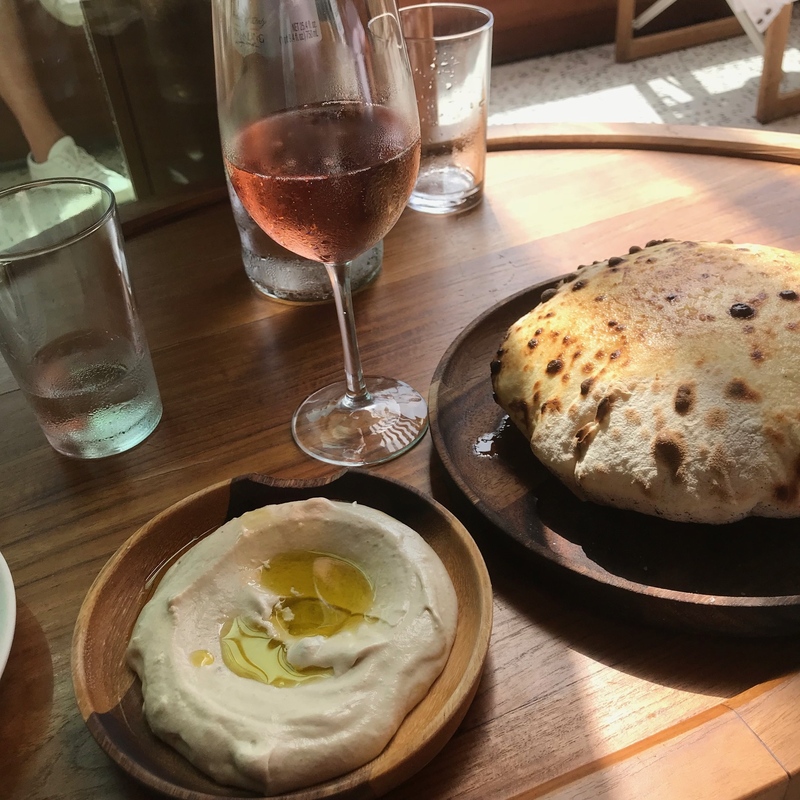 Elephante is definitely worth a visit not only for the view, cool vibe and extensive beverage program, but also for the delightful Italian influenced cuisine by Aussie chef Thomas Lim. 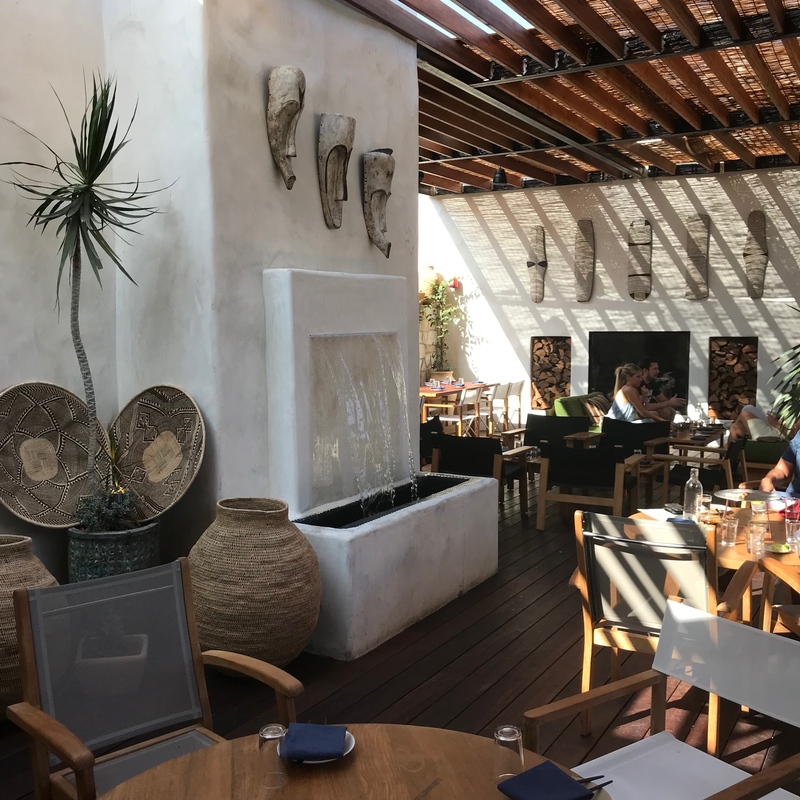 Elephante Beach House 1332 Second Street Santa Monica, California. Open Monday-Wednesday 12pm-12am, Thursday and Friday 12pm-1am, Saturday 10am-1am, Sunday 10am-10pm. Reservations on Resy. Street and Public Parking Lots available.